Miraflores is in Mijas on the Costa Del Sol and is a stunning RCI resort which includes restaurants and a golf club. 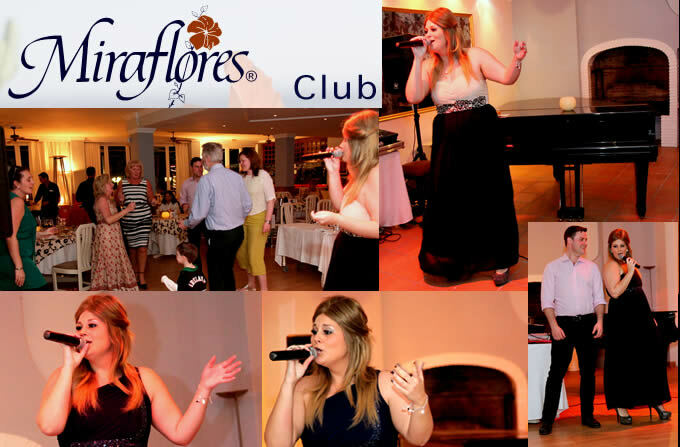 Nikki entertains her guests with her Adele tribute evening. In the summer her Adele show takes place on the outdoor stage surrounding the swimming pool. Nikki sings many of Adele’s top songs including the famous SkyFall. Adele tribute evenings are on every month so if you would like to make contact via her contact page, she can give you future dates. ​Sunset Beach is a four star holiday resort hotel, located beachfront in the popular holiday destination Benalmadena on the Costa Del Sol, in the south of Spain. Nikki performs her Adele tribute here weekly if you want to see this amazing show. Moonlight Lounge is the main entertainment venue in the hotel and is located on the 5th floor. It holds more than 400 people and boasts a large stage which is decorated similarly to that of Adele's stage live at the Royal Albert Hall. 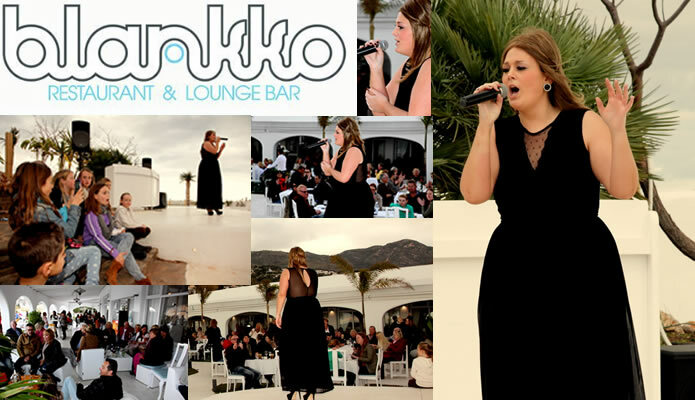 If you are looking for an Adele Tribute night full of fun, with a great atmosphere and a concert like feel, then Moonlight is the place to watch Nikki Rae with her tribute to the sensational Adele. ​Blankko Restaurant & Lounge Bar is an outdoor summer restaurant entertainment venue located in Torremuelle on the Costa Del Sol just passed Benalmadena. Nikki Rae entertains you throughout the summer singing as Adele in her tribute show. This venue is perfect for weddings. If you want a relaxing afternoon enjoying a cocktail or two whilst listening to Nikki then this is the place for you. 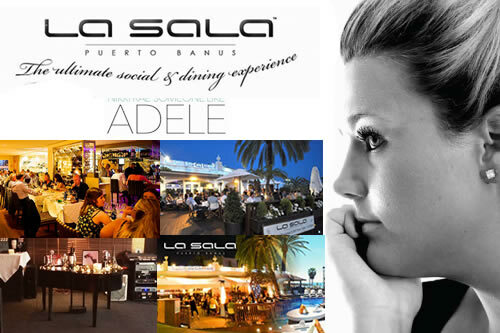 La Sala offers a choice of any one of 8 different areas, so whatever your mood they have a zone to suit you! 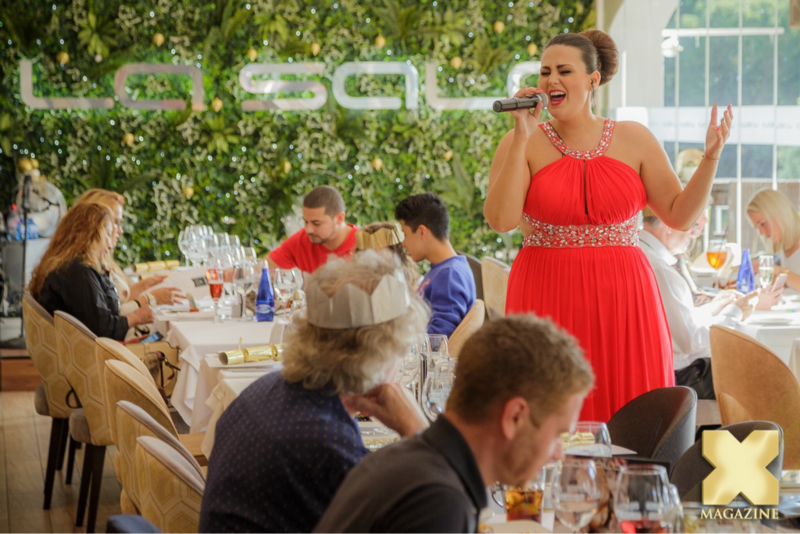 Nikki entertains dinner guests in the piano bar with her Adele Tribute show as well as a mixed genre night. 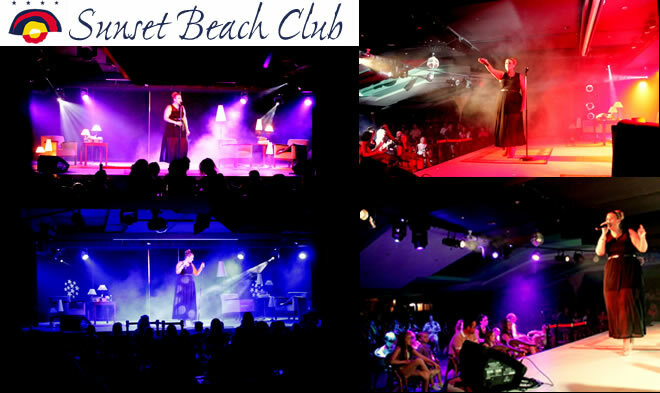 For information on her show nights, you can visit www.lasalabanus.com.